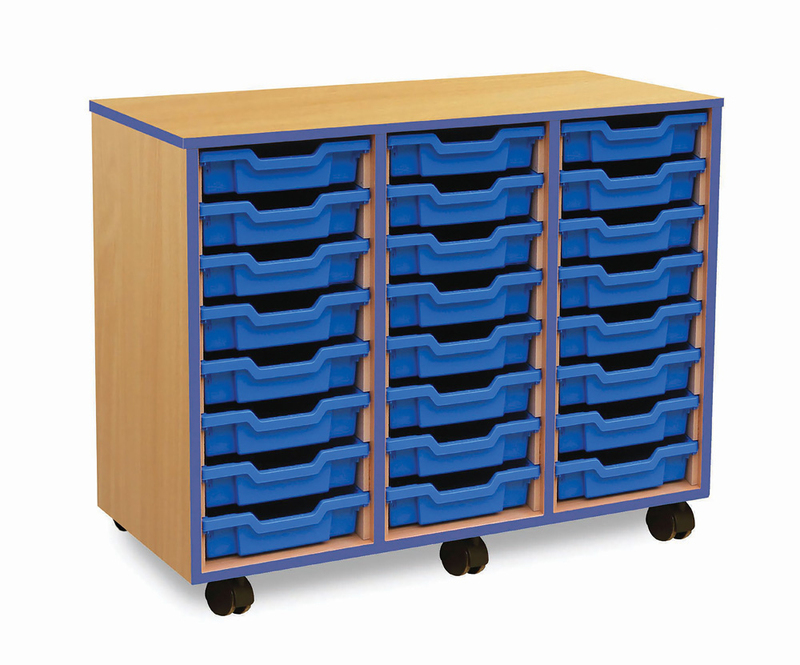 The Coloured Edge range of shallow school trays come with bestselling trusted Gratnells trays and are available with 6, 12, 18 or 24 trays to suit your class size. The units are constructed from 18mm MFC in a modern beech finish with a PVC protective coloured edge to add a splash of colour. 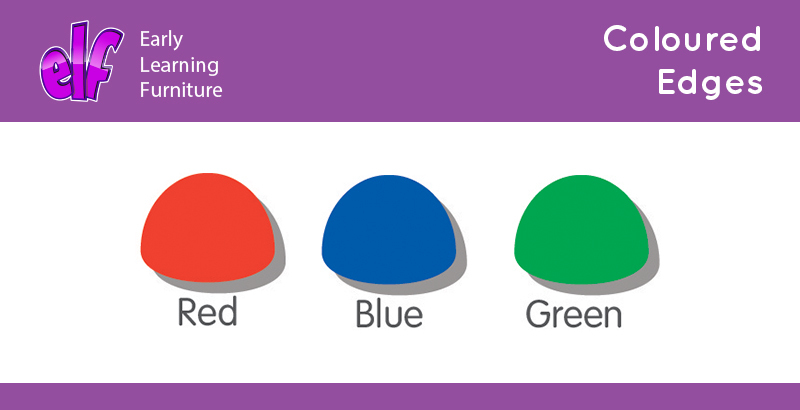 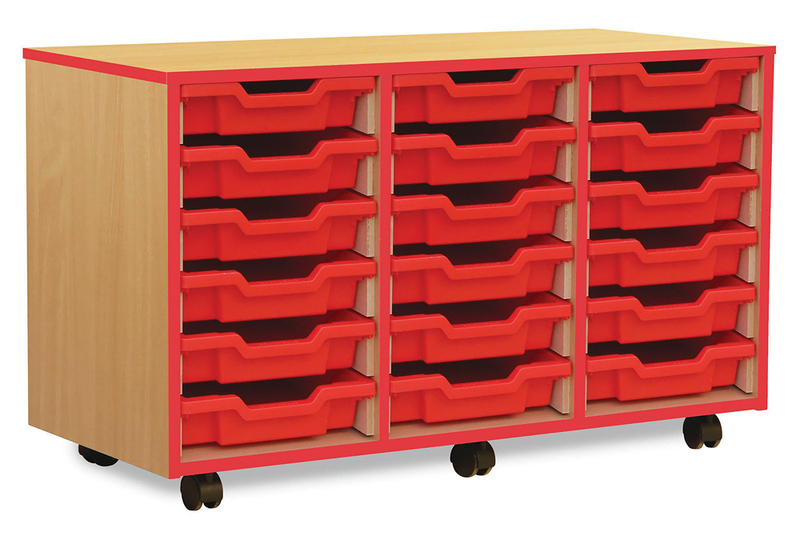 Tray and edge colour are co-ordinated and you can choose from red, blue or green. 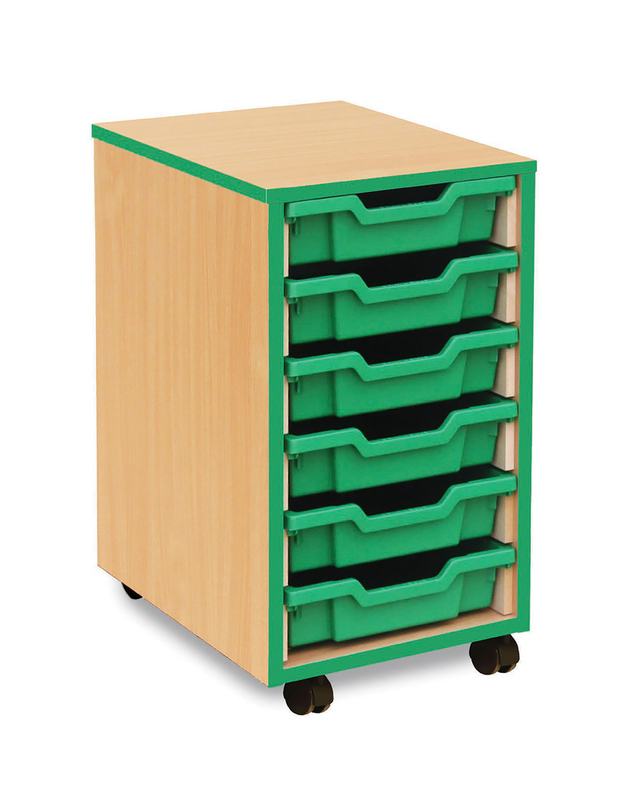 Ideal for storing away everyday classroom materials. 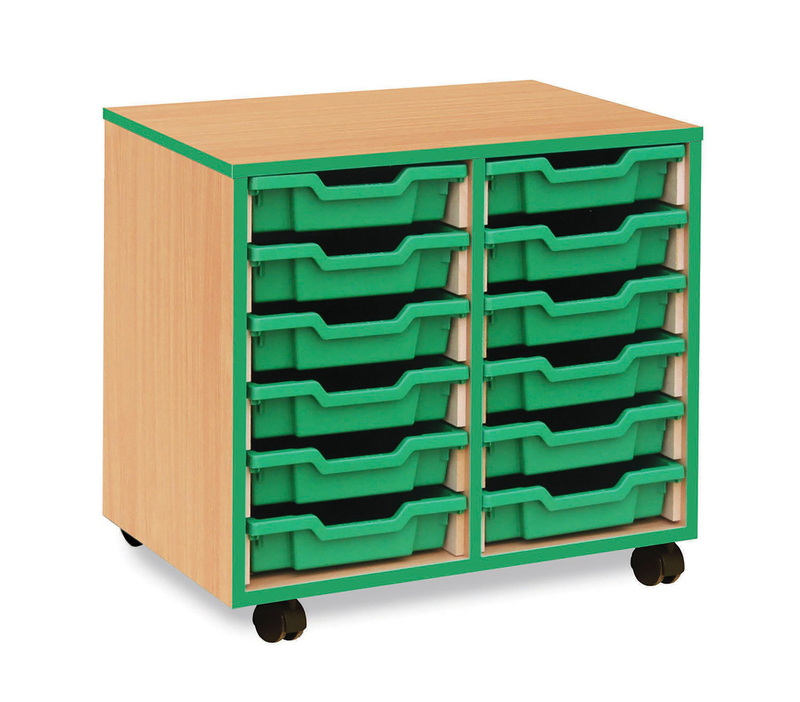 Also available within the Coloured Edge range is jumbo tray storage, school bookcase and school storage cabinet in the same matching colours. Please Contact Us or call for more details on 01733 511121.